This photo shows the white tiger at the Hirakawa Zoological Park in the southwestern Japan city of Kagoshima, which mauled and killed a zookeeper on October 8, 2018. 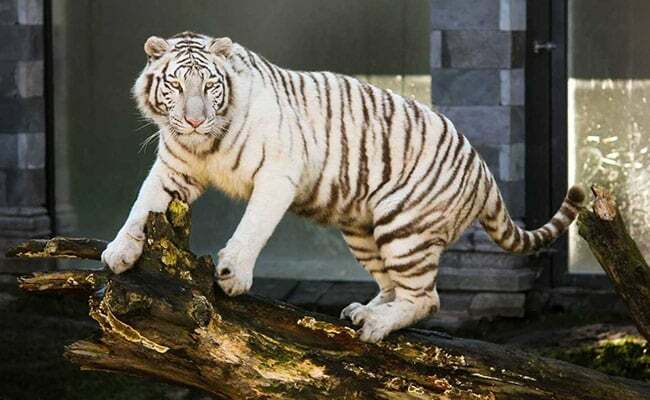 Officials believe he was attacked by one of the park's four white tigers, media reports said. While the zoo was open as normal on Tuesday, the white tiger observation zone was restricted "as police continued to investigate the case", Nagasako told AFP. He was declared dead in hospital. His autopsy results are pending. Officials said they are investigating whether proper safety procedures were in place at the zoo. A veterinarian at the zoo used a tranquiliser dart to sedate the five-year-old male tiger, named Riku, before staff could reach Mr Furusho. "We can not imagine what happened", Akinori Ishido, the zoo's director, told reporters on Tuesday. Its manual forbids a keeper from entering the display cage before a tiger has been moved into its sleeping chamber. No one saw the moment of the apparent attack. Furusho's family have asked for clemency and that the tiger's life be spared. Riku - about 1.8 metres (5.9 feet) in length and weighing some 170 kilogrammes (374 pounds) - was born at the zoo with two other white tigers.